In a cross-currency swap, the parties exchange a stream of payments in one currency for a stream of cash flows in another. The typical cross-currency swap involves the exchange of both recurring interest and principal (usually at the end of the swap), and thus can fully cover the currency risk of a loan transaction. Conceptually, cross-currency swaps can be viewed as a series of forward contracts packaged together. 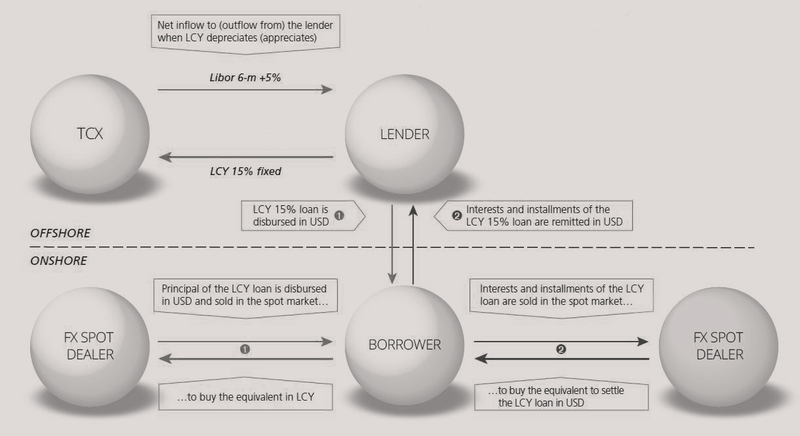 The diagram below graphically illustrates the working of a cross-currency swap and the different flows that are involved.